PART: 2017 Mercedes B Class W246 2.1 CDi Rear View Mirror PART NUMBER/MAKE: N/A WARRANTY (PARTS ONLY): 3 MONTHS – FREE 6 MONTHS – AN ADDITIONAL 10% OF BUY IT NOW PRICE 12 MONTHS – AN ADDITIONAL 20% OF BUY IT NOW PRICE NO WARRANTY INCLUDED ON CORE UNITS (ENGINES & GEARBOXES) WE DO NOT OFFER EXTENDED WARRANTIES ON PARTS THAT HAVE BEEN ACCEPTED AS A BEST OFFER FAILURE TO SUPPLY ANY EXCHANGE ENGINES OR GEARBOXES WILL INVALIDATE YOUR WARRANTY WE DO NOT COVER ANY LABOUR COSTS EXCHANGES: ENGINES, GEARBOXES & DPFs/CATs ARE SOLD ON AN EXCHANGE BASIS – PLEASE MESSAGE US THROUGH EBAY AND WE WILL COLLECT THE CORE UNIT FREE OF CHARGE RETURNS: ALL RETURNS MUST BE PROCESSED THROUGH EBAY IF YOU WOULD LIKE TO REQUEST A RETURN: 1. FIND OUR ITEM IN YOUR PURCHASE HISTORY 2. SELECT OPTION (RETURN THIS ITEM) 3. 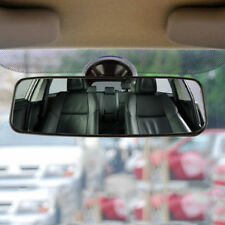 Item Specifics:2005-2011 - 5 DOOR - MPV - INTERIOR MIRROR - BLACK. Part:Interior Mirror. This Interior Mirror was removed from a2010 car and has been fully inspected. B CLASS 2005 -2011 245 Series. Model:B CLASS. FROM B CLASS W245 RHD. Good working condition. We are gladly at your service for any further queries. Goods will only be dispatched upon cleared funds. Mon - Fri 9:00 - 18:00. (Except Malta, Cyprus, Canary Islands). Lenght: 330mm. A Quality Interior Mirror with Suction Cup and Oval Shape for Wider Vision. Extre Wide Size, Could Be Used as An Extra Mirror. Universal and Easy Fitting. Modell/Typ B-KLASSE (W245) B 200. Rear-view mirror rearview mirror. There can be from the manufacturers production changes in the current models. Internal No. The original vehicle data Aggregates are generally sold without mounting parts. A Quality Interior Mirror with Suction Cup and Oval Shape for Wider Vision. Extre Wide Size, Could Be Used as An Extra Mirror. Universal and Easy Fitting. Lenght: 250mm. Width: 65mm. Modell/Typ B-KLASSE (W246) B 180 CDI. Rear-view mirror rearview mirror. Reading lamp front. There can be from the manufacturers production changes in the current models. Internal No. Construction period. Electronic auto dimming car rear view monitor. Auto Dimming Anti-Glare Function Black Car Vehicles Mini Air Bag Simulator Bypass Garage SRS Fault Diagnostic Kit. 8 LED Night vision. HD 800 480 resolution. Rear view suction cup mirror. Colour: Black. Installation: Clean the windscreen, attach the mirror firmly. Easy installtion, simply clean your windscreen with a micro-fibre cloth so that there are no grease marks & secure into place firmly. 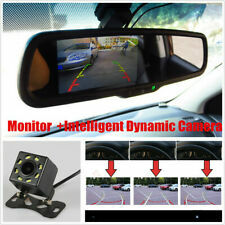 Auto Dimming Anti-Glare Function Electronic auto dimming car rear view monitor. 8 LED Night vision. There is another sensor at the front of the mirror monitor, it can sense the brightness of strong light from the back of the car, and then drive the reflectivity of the anti-glare mirror. This warranty is void if any part supplied has been tampered with in any way. I.e. seal broken, taken apart etc. This warranty does not affect your statutory rights. refers to the cylinder head & block and the components which make these up (i.e. pistons, cam shafts, con rods, etc.). MPN 800563. EAN Non applicabile. Codice ricambio originale OE/OEM 2128100264. Electronic auto dimming car rear view monitor. Auto Dimming Anti-Glare Function There is another sensor at the front of the mirror monitor, it can sense the brightness of strong light from the back of the car, and then drive the reflectivity of the anti-glare mirror. Using big sucker disc with stronger suction, and you can fix it and take it apart easily. Type:Rear View Mirror. 1 x Interior Rear View Mirror. Mirror Color: Clear. Shell Color: Black. Large and unobstructed rear view. 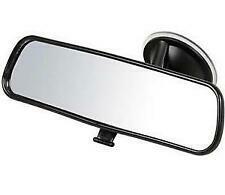 1 x Panoramic rear view mirror. 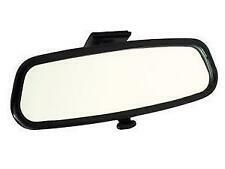 Universal for most cars with standard size rear view mirror. Instruction is not included. Material:ABS Plastic Glass. Polished to give a better reflection / visibility. Personalized customization. Side mirrors are detachable 360° rotation. Installed on the rear view mirror in car, enlarge your view. we will do our best to provide the better servece. Peel off protective film from bottom of blind spot mirror. It solves dead angle zone of sight perfectly. You can adjust the angle of reflection freely. Suitable for installation on rearview mirrors and side mirrors. 2PCS Car Rearview Mirror Blind Spot Side Wide Angle View HD Glass Adjustable. Fully adjustable design eliminates a range of blind spots. Wide Application: it is suitable for every truck, car, SUV, RVs and vans. Important explanations for our kunden . Tires and Wheels. Engine & Transmission. Car overview. World requests! EU requests! Great Britain. or ask your friendly car dealer for it-. Solve Dead Angle Zone Of Sight Perfectly. Fits Onto the Outside Wing Mirror. 180 degree Adjustable Blindspot car mirror. Fixed at Car Outside mirrors. 2 X RearView Mirror. Left or Right Hand Side. It With 3M Double Sided Tape. Personalized customization. Installed on the rear view mirror in car, enlarge your view. 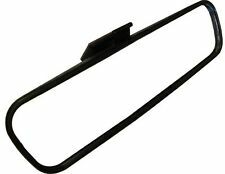 Place lower clip under existing rear view mirror.Slid top on existing rear view mirror.Adjust. It is helpful to reduce blind area, safety driving. Large adjustable baby safety mirror for easy positioning, Designed to help drivers see a baby that is in rearward facing car seat, Position on rear seat headrest and view via car's rear view mirror, Avoids the driver having to turn around while driving,Easy to fit and remove when required. 10Pcs Oval Car Auto Anti Fog Rainproof Rearview Mirror Protective Film Accessory. 5 Pair Car Anti Water Mist Film Anti Fog Rainproof Rearview Mirror Protective Film. Universal designed Rearview Mirror Protective Film for Car, Suv, Truck, Trailer, etc., which fits all standard size of side mirrors.